Each week, I'll be preparing you for the Patriots upcoming opponent with a scouting report, going over the opponent's roster with a focus on how they will specifically match up with the Patriots. 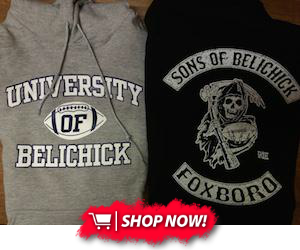 It's a big game this week, as the 3-2 Atlanta Falcons come to Foxborough with a primetime opportunity to exact some revenge for last year's Super Bowl collapse. This would be a huge game for the Falcons even without those extra implications, as they've lost their last two and have fallen behind the surprising Carolina Panthers for the division lead. Coming off of another embarrassing collapse (they lost despite holding a 17 point lead over the Dolphins last week) creates extra incentive for them to right the ship with a statement win against the Pats. The hype will be big-time for this one, but the outcome will still be determined by the individual matchups on the field. Without further ado, here's a closer look at Atlanta's personnel and how the Pats might match up. The Falcons have returned every key piece from the unit that shredded defense at a historical pace last year. While they haven't lapped the league statistically the way they did last season, they remain one of the league's best units and one of the toughest to defend due to their versatility. They can run and pass effectively, with a multitude of supporting contributors in the passing game behind superstar Julio Jones (#11). This allows them flexibility scheme-wise, as they have the offensive depth to hurt opposing defenses in a multitude of ways. That includes the ground game, which has been an underutilized weapon for this offense. 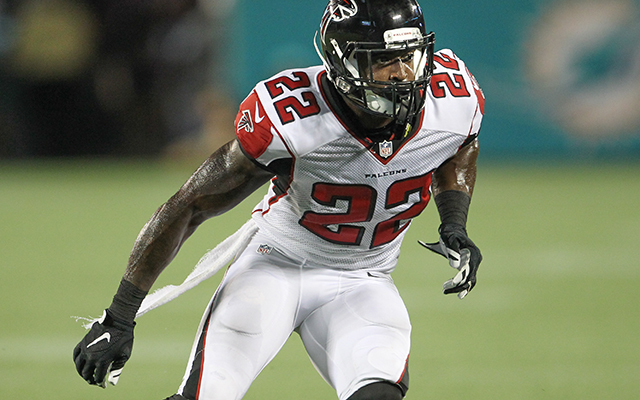 Atlanta has run the ball an average of 25.2 times a game, a figure that ranks just 21st in the NFL. They've done a ton of damage with those attempts, averaging 4.8 yards per carry and 120.6 yards per game. On a per snap basis, only the Chiefs and Jaguars have been more effective on the ground. That ground game is built around the dynamic backfield duo of Devonta Freeman (#24) and Tevin Coleman (#26). 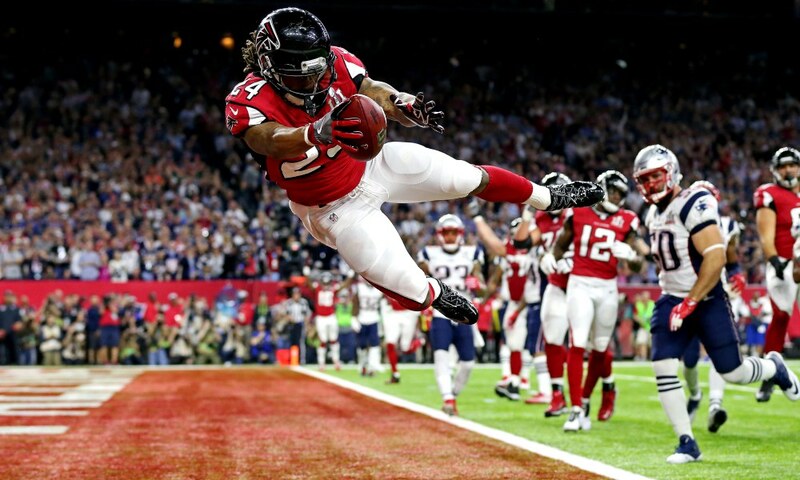 Freeman has continued his excellent play this season, the first of a handsome contract extension that made him one of the games highest paid RBs. The clear lead dog of this backfield, Freeman has turned his 79 rushing attempts into 353 yards (4.5 yards per pop), with five touchdowns to boot. At 5'8" and 206 pounds, he's no one's idea of a "big back", but his explosiveness and cutting ability makes him a perfect fit for the Falcons zone blocking schemes. Freeman has excellent vision and can stop and cut back on a dime once he sees a hole open up. Once he hits the hole, trouble starts. He runs hard with excellent burst initially through the hole, but the real danger comes when he gets to the open field. His open field running is a sight to behold, with jukes that have put plenty of defenders in highlight reels over his four year NFL career. Not only is he shifty, but he's also very instinctive in the open field, often making well timed cuts that maximize his yardage. He also runs with great balance and forward lean, which combines with naturally low pad level to help him compensate for his lack of size. He's not going to push a pile of defenders LeGarrette Blount style, but he consistently gets extra yardage after contact by falling forward. His backfield mate Coleman has been just as effective in his change of pace role. Coleman has 38 carries on the season as the clear backup to Freeman, but he's turned them into an impressive 213 yards (5.6 per carry). At 6'1" and 210, Coleman is the bigger of the two, but no one's mistaking him for your classic between the tackles bruiser. Instead, Coleman's best attribute as a runner is his sprinters speed. Like Freeman, Coleman has good vision to identify holes as they open up. He doesn't have the open-field wiggle Freeman possesses, but has better pure speed. Give him a crease and he's gone. This makes Coleman particularly dangerous on perimeter runs, as his speed allows him to gobble up yards in a hurry if he's allowed to get around the edge. Setting a strong edge will be imperative this week, as these Falcons feast when they can get their outside running game chugging along. Edge duties will fall on a number of players, with Trey Flowers the leader of a rotation that also features Cassius Marsh and rookie Deatrich Wise. Both Wise and Marsh have had their occasional lapses setting the edge, as their eagerness to get up field has cost them at times against perimeter runs. They simply can't have lapses like that against these guys. The Freeman/Coleman backfield is tough enough to handle on the ground, but those two are also critical to Atlanta's versatile passing attack. Both are adept pass catchers out of the backfield who can punish teams who neglect them to focus on Atlanta's other passing game weapons. Freeman mostly catches checkdowns and screens, which give him extra opportunities to capitalize on his open field running ability. Coleman has plays like that, but the Falcons also like to create isolation situations for him against linebackers. If they have a matchup they like, they'll send Coleman vertically in hopes that his speed will be too much for the coverage defender on him. As a result, he's been more involved in the passing game, catching 14 of his 20 targets for 157 yards and a touchdown. Freeman and Coleman are certainly talented players in the passing game, but they benefit from playing with a stacked group of passing game weapons that make it extremely difficult to properly match up with everyone. The Falcons depth is enough to stretch opposing secondaries thin before even factoring in the presence of Julio Jones (#11) an uncoverable monster who demands extra defensive attention regardless of who draws him as a primary assignment. 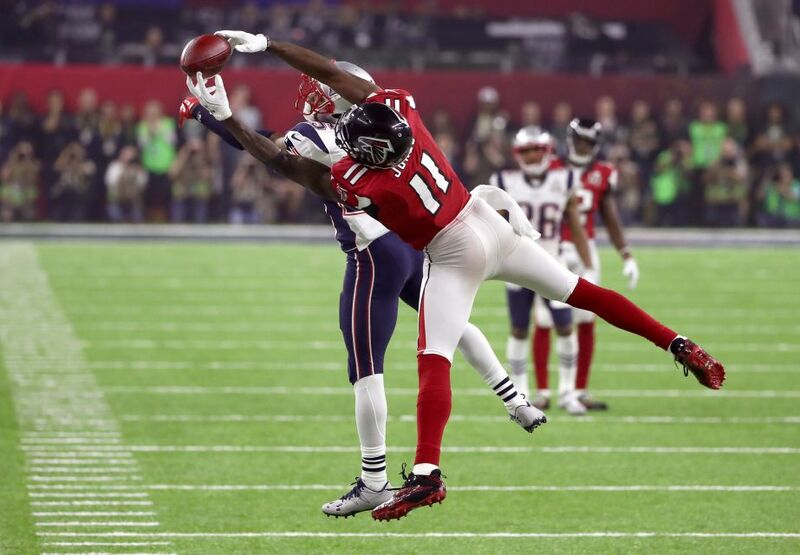 Pats fans need no introduction to Julio, who proved his worth last February with a Super Bowl performance for the ages against them. Rest assured that he's still the same monster we saw in the Super Bowl, as he's caught 25 balls for 367 yards (14.7 per catch) so far this season. Those numbers don't even do his dominance justice, as they've come in spite of both constant double teams and seeing fewer targets than most unquestioned top receivers. In fact, head coach Dan Quinn admitted publicly on Monday that his offense needs to do a better job of getting the ball to Julio, who shockingly has yet to score a touchdown this season. That could be bad news for your Patriots defense, who were hurt by Julio plenty in the Super Bowl despite doing a good job of limiting his opportunities. It looks like this could be a game where the Falcons try to get their superstar going, especially with the Patriots playing without both Stephon Gilmore and Eric Rowe. Not only are they two of the Pats top 3 corners, but Gilmore and Rowe are typically their top choices to match up with bigger, physical receivers like Julio. Without those two, the Pats will go back to last week's top 3 corners, with Malcolm Butler and Jonathan Bademosi on the outside and Jonathan Jones manning the slot. Bademosi, now the team's top "big" corner by default, would likely get the unenviable task of checking Jones. While Jones would have seen plenty of bracket coverage even with a healthy Gilmore out there against him, Gilmore's absence will heighten the need for safety help over the top of Jones at all times. Don't get me wrong, Bademosi is an excellent athlete himself, but Julio might be a mutant. That would leave Butler and Jones to handle the Falcons supporting receivers, a group led by Mohamed Sanu (#12) and Taylor Gabriel (#18). The Super Bowl saw Butler largely on Gabriel, with Logan Ryan checking his old Rutgers teammate Sanu. Ryan's presence allowed the Pats to largely keep Butler away from the bigger (6'2", 210) Sanu, but he's now a member of the Titans. With just Butler and Jonathan Jones left as a available corners, the Pats will have to put one of their little guys on Sanu. My money would be on Butler, as Sanu is more involved in the passing game. He's more of a possession receiver than an explosive downfield threat, but he makes up for what he lacks in true explosiveness with physicality, both as a runner after the catch and as a blocker in the running game. It will be imperative for the feisty Butler to match his intensity in a matchup that isn't best suited for him, as Butler has struggled with bigger, more physical receivers in the past (Carolina's Devin Funchess particularly gave him a hard time). Gabriel, on the other hand, is as explosive as they come. A major deep threat, Gabriel hasn't been the most efficient receiver, but he makes his catches count. His pure speed and quickness makes him a difficult one-on-one cover, as defenders must respect his deep speed regardless of game situation. At 5'8" and 165 pounds, he's one of the few guys that doesn't have a major size advantage on the 5'9" Jonathan Jones. Likewise, Jones (he of the 4.3 speed) is one of the few corners not at an immediate speed mismatch facing Gabriel. If they can, the Pats will want to have a safety over the top of this matchup, as Jones has been up-and-down in coverage this season. That might be difficult, however, given the other receiving threats littered across this roster. Gabriel's emergence as the team's third receiver has blocked the development of 2015 fourth round pick Justin Hardy (#14). Hardy has had flashes here and there during his three season career, but he's a distant fourth on the Falcons receiver depth chart at the moment. More of a classic slot-type target, Hardy would be the next man up should anything happen to the top three receivers. Hardy doesn't have much of a role as the fourth receiver partly due to Atlanta's usage of multiple tight end sets. Their ability to run and pass effectively out of two tight end personnel is yet another factor that makes this offense predictable and hard to defend. They've also become harder to defend because of the emergence of second year tight end Austin Hooper (#81), who has been their unquestioned top tight end after playing a supporting role as a rookie. Hooper has been surprisingly solid as a blocker, but it was his athleticism as a pass catcher that made him the second tight end off the board in his draft class. Hooper flashed that upside as a rookie but has thrived with a bigger role in his second season, catching 17 balls for 242 yards and a touchdown through five games. Those numbers are inflated a bit by an 88 yard catch and run, but Hooper has been one of the league's more productive pass catchers in his sophomore campaign. When the Pats run man coverage, it will likely be Patrick Chung checking him. Chung did so in the Super Bowl, where he gave up a touchdown to the rookie. Second tight end duties are handled by veteran Levine Toilolo (#80), a massive body (6'8", 265) who serves largely as a blocker. As the Super Bowl proved, sometimes generating a pass rush is the only way to slow this loaded passing offense down. That's could be true more than ever this week, as the Pats are likely to go into this one without two of their top three corners. Getting pressure early on star quarterback Matt Ryan (#2) could be the best way to disrupt the timing of this passing game, as Ryan should be able to pick the Pats weakened secondary apart if given time. 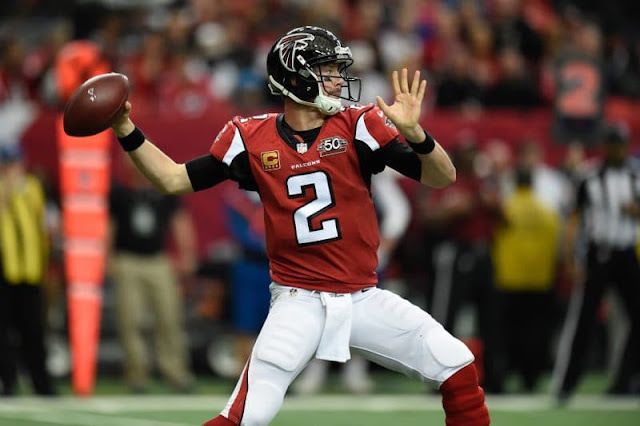 However, if they can get some pressure, they could force a few turnover-worthy throws from Matty Ice, whose six interceptions are a glaring black mark on what has otherwise been another good season from him. To do that, the Pats will have to generate more pressure than they did last week, when they were largely shut out by a Jets O-line that is inferior to the group they'll face this Sunday. The key to that might be exposing the Falcons tackles, neither of whom have played up to expectations thus far in 2017. Both left tackle Jake Matthews (#70) and right tackle Ryan Schraeder (#73) have put their athleticism to good use on those outside stretch running plays, but neither have done a particularly stellar job in protection. Pats fans will remember Matthews getting called for a critical holding penalty after getting overpowered on the edge by Chris Long. Struggles with power have been consistent for the athletic Matthews, which could make him vulnerable against the power-based Arkansas duo of Flowers and Wise. The speed of Cassius Marsh could also be valuable against these Falcons, as he can make up ground in a hurry against the misdirection and bootlegs that Atlanta runs to manufacture clean looks down the field for Ryan. The swing tackle role is handled by former Broncos draft bust Ty Sambrailo (#74), who will have Pats defenders licking their chops if injury forces him into the lineup. The interior of the offensive line has been a clear strength for Atlanta, largely thanks to the excellent play of center Alex Mack (#51). The last time Patriots fans saw Mack, he was admirably gutting through a broken fibula. He's healthy now and back to his top form, which currently has him as ProFootballFocus' top graded center. Mack is strong enough to anchor against the bull rush in protection, but his real strength is his athleticism, which allows him to consistently take out linebackers at the second level. Left guard is manned by veteran Andy Levitre (#67), whose career has been reborn in Atlanta's zone blocking scheme. A well paid free agent bust in Tennessee, Levitre has returned to form in a blocking scheme better suited for his athletic skillset. He's currently PFF's 13th ranked guard, earning particularly high marks for his run blocking. On the right side, retired Super Bowl starter Chris Chester has been replaced with second year man Wes Schweitzer (#71), a 2016 sixth rounder who was inactive for last year's Super Bowl. Schweitzer has been pretty good as a run blocker but has been a weak-link in protection, albeit one whose performance has gradually improved as the season has gone on. His lack of experience makes him a guy to target with stunts and twists, as the rest of his linemates have years of experience under their belts. While I've summed up the Falcons personnel for you, your guess is as good as mine as to how the Pats scheme to stop this offense. My best guess is that the Patriot play more zone than they typically do, somewhat out of necessity due to their dire injury situation at corner. Zone would have the additional benefit of giving the Pats plenty of underneath defenders to counter the ways the Falcons stretch opposing defenses horizontally. All the Falcons outside stretch zones and the play action, misdirection and bootleg components that build off of that should theoretically be well defended by zone coverage, which should keep defenders in position underneath regardless of those man-beating concepts. However, the Patriots execution in zone coverage this season has been nothing short of atrocious. Playing man doesn't seem like a feasible idea against these weapons with the corner options the Pats are down to, but they'll have to execute zone much better than they have this season if they turn to it. Missed assignments and miscommunication, issues that have plagued the defense through six weeks, are fatal against this well-designed offense and the veteran signal caller behind the controls. While there's been more turnover on this side of the ball since the Super Bowl, the Falcons still return the majority of the group that gave Tom Brady hell for three quarters last February. This young group has shown improvement from last season, as they rank within the top 10 in yards (312.4 per game) and just outside it in scoring (21.8, 13th). Most impressively, they've allowed a stingy 5.3 net yards per pass attempt, a figure topped only by Pittsburgh, Cincinnati and Jacksonville. As you remember, the Pats particularly struggled in the Super Bowl to protect Tom Brady from the Falcons relentless pass rush. 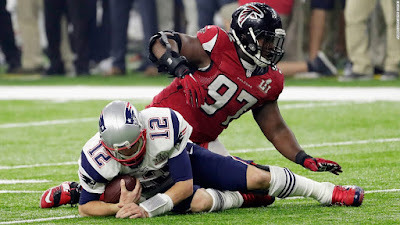 Rushing the passer is still a strength of the Falcons, who retained added veteran star Dontari Poe (#92) and first round pick Takkarist McKinley (#98) to their deep defensive line. They haven't racked up a ton of sacks, but they have a number of players capable of putting heat on the quarterback. That group is led by defensive tackle Grady Jarrett (#97) who has built on his breakthrough three-sack performance with an outstanding season so far in 2017. Jarrett's season is a perfect example of how stats can be misleading, as he actually doesn't have a sack yet in 2017. However, he's disrupted plenty of plays both as a pass rusher and run defender, earning ProFootballFocus' 12th highest grade amongst interior defenders. At just 6'0" and 305 pounds, Jarrett combines his natural leverage with a quick first step and excellent hand usage to consistently get into the backfield. The stat sheet says he's only had 9 tackles this season, but he's wrecked plenty of plays without getting statistical credit. He'll be a major challenge for the Pats interior trio of Joe Thuney, David Andrews and Shaq Mason, all of whom have had their occasional lapses in protection. Jarrett is joined on the interior of the defense by Poe, a high profile free agent signing from the Chiefs. While Jarrett plays more of a quickness-based game, Poe is all about raw gap-plugging power. Listed as 6'3" and 346 pounds, he's your classic nose tackle, using his pure mass and ridiculous strength to occupy multiple blockers. He's actually an incredible athlete for a man his size, but the strength of his game still lies in his ability to take up multiple blockers, as it creates opportunities for other unblocked teammates to make plays. Poe's power will be a major problem if the Falcons return to the twist-heavy gameplan that gave the Pats blockers fits last February. Time and time again, the Falcons would have an interior defender aggressively attack the inside shoulder of the Pats offensive tackle. With the Pats tackle forced to contend with said defender, a Falcons defender (normally an edge rusher) would loop around inside, into the gap vacated by that original interior defender. Through most of the game, these twists resulted in pass rushers coming free, forcing Brady out of his rhthym and into uncharacteristically poor throws. Considering how well that strategy worked without a 346 pound behemoth like Poe to set those "picks", I'd expect the Falcons to return to the well on Sunday. Injuries and a lack of depth have forced Jarrett and Poe to play the lions share of the snaps inside this year for Atlanta. With former high draft pick Ra'shede Hageman suspended and veteran Jack Crawford recently landing on injured reserve, it was former Patriot Joe Vellano (#94) acting as the third man in that rotation last week. He'll likely resume that role on Sunday, although the expected return of Courtney Upshaw (#91) could complicate matters. More of an edge/interior hybrid than a pure defensive tackle, the former second round pick has missed the past three games with an ankle issue, but is fully expected to play after returning to practice this week. The Falcons go five deep in the rotation on the edge, with four defenders with at least 140 snaps logged. That group doesn't include Vic Beasley (#44), their most dangerous pass rusher, as the 2015 top 10 pick missed two games with a hamstring injury before returning after the Falcons Week 5 bye week. Atlanta eased Beasley back in during his return to action last Sunday, playing him only 26 snaps. Beasley's upgrade from limited to full participation this Friday indicates that he's healthy and ready to play a bigger role this Sunday. That could mean trouble for Nate Solder, who will probably see plenty of him Sunday night. Solder has quietly started to look better after a rough start to the season, but he'll be facing one of the league's most explosive athletes on the edge in Beasley. Few pass rushers can match his pure speed and ability to bend around the edge. Obvious passing situations will often have Beasley bookended by Takk McKinley (#98), the Falcons first round pick from UCLA. The Falcons have used McKinley almost exclusively as a pass rushing specialist, which has helped both to ease the rookie in and to manage the shoulder injury he's playing through. McKinley has quietly been effective in that role, earning PFF's 27th highest pass rushing grade at the position (he's actually tied with none other than Jadeveon Clowney). Another pass rushing specialist in this rotation has been veteran Adrian Clayborn (#99), who is a few spots ahead of McKinley with PFF's 24th highest pass rush grade. A former first round pick, the seventh year vet already has two sacks this season, using his brute power (6'3", 280 pounds) to bull rush his way into pressure. The team's leader in sacks has actually been veteran Brooks Reed (#50) with three. More of an every down option than the aforementioned rush specialists, the former Texan has done a little bit of everything for this Falcons defense, including impressive work against the run. He's often joined on early downs by another veteran in Derrick Shelby (#90). Now in his sixth season, the former Dolphins UDFA is more of a physical edge setter against the run than explosive pass rusher. With Beasley likely to play a larger role tonight, it wouldn't shock me if Shelby is the member of the rotation to see his snaps decrease the most. The second level of this defense is impressive, as second year players Deion Jones (#45) and De'Vondre Campbell (#59) give the Falcons arguably the most athletic linebacking duo in the league. Both have taken the expected second year jump this season after impressing as rookies last year, with Jones in particular establishing himself as one of the game's top talents at the position. Pats fans will remember Jones for seemingly being everywhere for the Falcons in that Super Bowl, and the rookie has built on that memorable performance. So far, he's PFF's 7th highest graded linebacker, earning excellent marks for both his run defense and coverage. Campbell has played well in both areas as well, and currently grades out as the 12th best linebacker this season by PFF's metrics. 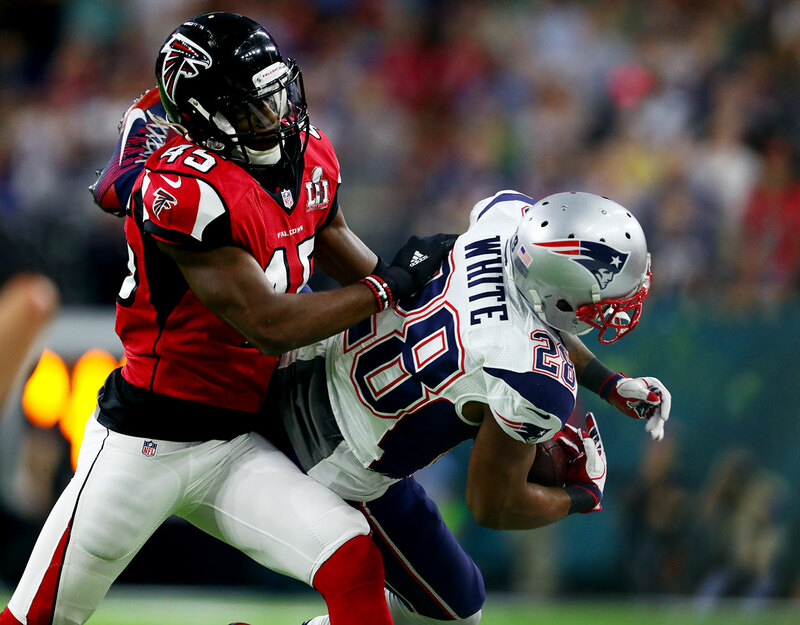 The skillsets of Jones and Campbell highlight the differences between Atlanta and New England's defensive schemes. While the Patriots have long valued bigger, physical players at linebacker, the Falcons doubled down on speed when they drafted those two back in 2016. Both Jones (6'1", 222) and Campbell (6'3", 234) are extremely undersized by the Patriots standard, but they make up with for their lack of bulk and then some with athleticism. That range makes them perfect fits for Atlanta's cover 3 defense, a scheme head coach Dan Quinn popularized at his previous gig as the Seahawks defensive coordinator. Those two linebackers are generally responsible for the middle of the field in that zone scheme, a major responsibility that requires them to cover a lot of ground. Normally the Patriots feast against zone teams, as they can manipulate matchups to get their quicker skill guys matched up on linebackers. These two for the Falcons are two of the few in the league athletic enough to not get worked over in those situations, and they both were played a huge role in that Super Bowl. Their ability to take away the middle of the field was a major factor in the Pats offensive struggles through the first three quarters. 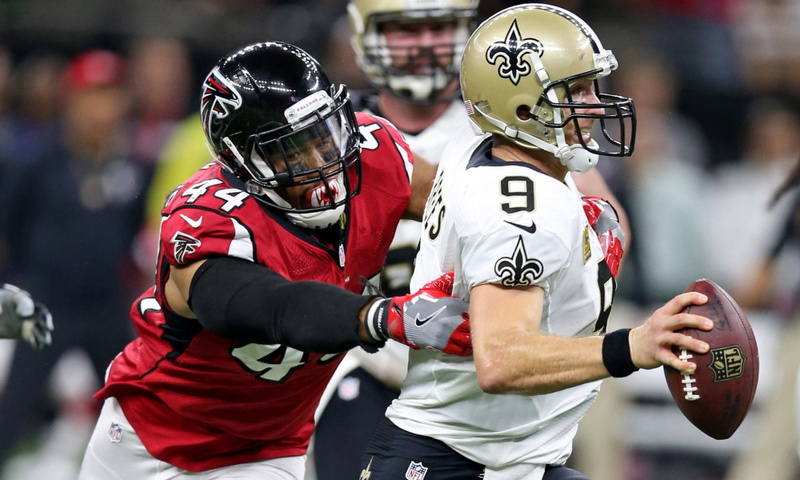 The third "starter" in base defense would be third round rookie Duke Riley (#42), who like Jones comes to the Falcons from the vaunted LSU program. Unlike Jones, Riley has struggled to adjust to the NFL, posting below average PFF grades in every aspect of his game. He'll be a guy for the Patriots to target when the Falcons dare to put him on the field. The Falcons secondary is an improved unit from the one Tom Brady shredded during that epic Super Bowl comeback. The biggest difference has been the return of top corner Desmond Trufant (#21), who missed the Super Bowl due to a midseason shoulder injury that landed him on IR. Healthy again now, Trufant has looked exactly like the same elite cover corner he was prior to that injury. On this team, he basically slots into the spot of Super Bowl burn victim Jalen Collins, who is suspended for his second violation of the league's PED policy. As the Falcons clear top corner, look for him to spend plenty of time matched up with Brandin Cooks. 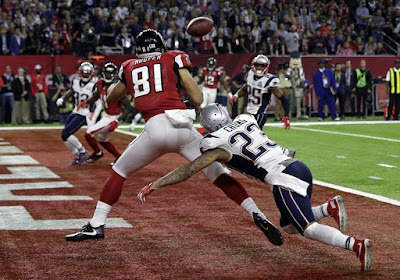 Trufant is bookended by Robert Alford (#23), a streaky cover guy best remembered in New England for that pick six of Brady just before halftime of that Super Bowl. At his best, Alford is an aggressive corner whose physical coverage is difficult to separate from. However, he's always been a feast or famine guy, as he can burned for penalties and big plays with his grabby form of coverage. He's trended more towards the famine side of his game in 2017, earning poor coverage marks from PFF. The slot is still manned by Brian Poole (#34), who has built off of last year's impressive rookie campaign with strong play this year. An UDFA from Florida, Poole fought his way first onto the roster and then into an important role last year. While he's good in coverage, Poole's all-around game sees him impact the game in multiple ways from the slot. Despite his lack of size (5'10", 211), he's a physical, willing tackler in run support. He's also an effective blitzer from that slot corner back role. Neal is an impressive athlete, but can he cover Gronk? There's continuity in the back end of this secondary, with Ricardo Allen (#37) and Keanu Neal (#22) returning as the starting safeties. The veteran Allen plays the "Earl Thomas role" as the single high safety in this Seattle-style Cover 3. While he doesn't have the range Thomas brings to that position (who does? ), he uses his veteran instincts and positioning to due a solid job of preventing big plays over the top. Neal, their first round pick from a year ago, plays more in the box in the "Kam Chancellor role". He's not as big as Chancellor, but he is a big hitter with the range to make plenty of plays in the box against the run. Neal role as the starting strong safety could mean plenty of time matched up with Gronk, who of course did not play in that Super Bowl. His ability to handle that assignment will factor heavily into the outcome of this game, as the Pats will need Gronk to be his normal dominant self if they want to score enough to win what should be a shootout. Its a matchup of two solid units here, as both teams have been productive in the game's third phase. Veteran depth receiver Andre Roberts (#19) has been good as the team's return specialist. Roberts has averaged a healthy 10 yards per punt return this year and already has a 61 yard kick return on his 2017 resume. The kicking game is set with reliable veterans Matt Bryant (#3) and Matthew Bosher (#5) handling placekicking and punting duties respectively. Bryant has been particularly impressive this season, making 23 of his 24 attempted field goals and extra points. His only miss came from 59 yards just before halftime last week against the Dolphins. Bosher has been alright, but the one weakness of Atlanta's special teams has been covering his punts. Few teams have allowed more yards per punt return than the 12.6 Atlanta has surrendered so far. It wouldn't shock me if the Pats get a big play from Danny Amendola in the return game this week.